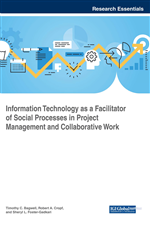 This chapter will explore the value of using computerized simulation case studies to enhance learning in project management education at the undergraduate and graduate college levels. Traditional teaching methods of textbook reading and lectures provide students with a vast number of concepts, processes, tools, and procedures for managing projects. However, it is difficult for students to translate that learning into use in real-life project management situations. Simulations are filling that gap by offering a low-risk environment with lifelike scenarios where students must determine the appropriate project management concept to employ and how to execute it. Simulations allow students to use their newly learned concepts and critical thinking for decision making while receiving immediate feedback which allows the student to make adjustments. This chapter will also discuss the value of these simulations based on the timing of when to introduce them to students during the semester. Simulations have been used for years within academia and for professional development and training. Prior literature indicates business games such as simulations to be as effective, if not more so, as traditional teaching approaches in strategic management courses (Faria, 2001). Literature also indicates project management simulations are a means to provide students with a way to draw from their content knowledge for decision making (Hartman, Watts, & Treleven, 2013). Hartman, Watts, and Trelevan (2013) found an important benefit to using simulations in that it allows students to experience managing projects firsthand in a low-risk environment. Additionally, they found the dynamic feedback students receive from their own decisions to be a benefit (Hartman, et al., 2013).